A campaign has begun to have a permanent memorial in Wales to the first female United States senator. Martha Hughes Cannon was born in Madoc Street, Llandudno, on 1st July 1857, but emigrated with her family to the USA a few years later. She went on to become a doctor and helped win women the vote in her home state of Utah when it was founded. 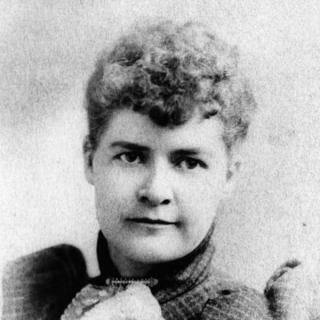 In 1896 she became a state senator, narrowly beating her own husband in the election. Her achievements have been recognised in the United States with a statue and a government building named after her in Salt Lake City where she lived. Lawmakers in Utah State also voted to put a statue of her in the National Statuary Hall in Washington, where every state gets two statues to commemorate notable people. But there is no memorial to her in Llandudno, where her family later lived in a house named Tan y Graig on the Great Orme. Her family were members of the Mormon religion and emigrated to the USA in 1860. She later became the fourth of the six wives of Angus M Cannon. Historian Wil Aaron, who has researched Martha Hughes Cannon's life, said: "In the United States, she's a very significant figure, and is rightly recognised as such. "There are statues, there's even been plays and a musical about her. But in the place she was born there's nothing to even mark that she came from the town. "There are now several people who are trying to get that changed." Aberconwy MP Guto Bebb, who is backing the idea, said: "Should we not, here in Llandudno, aspire to commemorate fully the contribution of Martha Hughes in her hometown? "Renowned and revered in Utah and the United States I think we should aspire to respect her achievements here in Llandudno."